Welcome to carlsigmond.com! My name is Carl Sigmond, and I am currently the Operations Manager for the Earthdance Creative Living Project in Plainfield, MA. Earthdance is an artist-run workshop, residency, and retreat center located in the Berkshire hills of Western Massachusetts. We provide a dynamic mix of dance, somatic, and interdisciplinary arts training, with a focus on sustainable living, social justice, and community. I am also working on a feature-length film about my grandfather, Albert Schatz, who in 1943, discovered the first antibiotic effective against tuberculosis. Streptomycin, as he would name it, saved millions of lives and resulted in the closure of tuberculosis sanitariums around the world. My film looks at my grandfather as a person and parallels his historic discovery with my own quest to discover more about who my grandfather was and the impacts he made on society. Until recently, I was the Disability Community Advocate at the FREED Center for Independent Living in Grass Valley, CA. FREED is a resource center for people with disabilities and older adults residing in Nevada, Sierra, Yuba, Sutter and Colusa Counties. My role at FREED was to support local, statewide, and national grassroots campaigns advocating for more inclusion of people with disabilities at all levels of society. Prior to joining the FREED staff, I was the Operations Manager at Sierra Friends Center, a Quaker education and retreat center in the Sierra Nevada foothills of Northern California. Originally from Philadelphia, PA, I attended Central High School and then Haverford College, where I majored in Computer Science, developed an Independent Minor in Quaker Studies, and cultivated my skills for documentary filmmaking. I taught the Video Documentary Class at The Woolman Semester School for three years. I also invented and wrote the software for LeverBoard, an adapted keyboard which I use as my primary text input device. Movement and spirituality are very important to me. I am a contact improvisation (CI) dancer. CI is an improvisational partner dance form that focuses on nonverbal communication, weight sharing, and play. Developed in the early 1970s by Steve Paxton, CI brings us into the present moment and allows us to have entire conversations with our bodies. Incorporating my background with Body-Mind Centering and The Feldenkrais Method into my dance, I rejoice in exploring new ways of being, moving, and communicating on the dance floor. I find CI to be a liberating form of expression and healing for me on my journey through life. I am a Quaker, and I have been attending Meeting since I was four years old. I am a member of Germantown Monthly Meeting in Philadelphia, PA. In high school and college, I was active in regional and national Quaker youth organizations and served in positions of leadership within those organizations. I currently serve as the Assistant to the Clerk of College Park Quarterly Meeting, a regional gathering of Quakers from Northern California and Nevada that meets three times per year. This website contains information about my work and volunteer history, my skills and interests, my disability, and more. I encourage you to check it out and learn about who I am. Please feel free to contact me if you would like to be in touch. Thank you for visiting my website and have a peaceful day. A forthcoming feature-length documentary about my grandfather, Albert Schatz, who discovered streptomycin, the first antibiotic effective against tuberculosis. Produced and directed by Carl Sigmond. 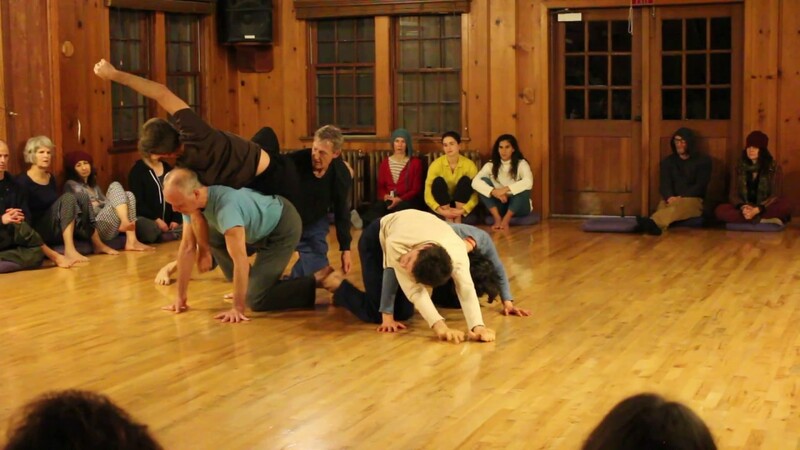 A performance of “Feather” at the 37th annual Breitenbush Contact Improvisation Jam. Choreographed by Carl Sigmond and Katherine Cook. Performed by Jeff Bliss, Katherine Cook, Tom Giebink, Jonathan Lilly, and Carl Sigmond. Video credit: Michael Joplin.